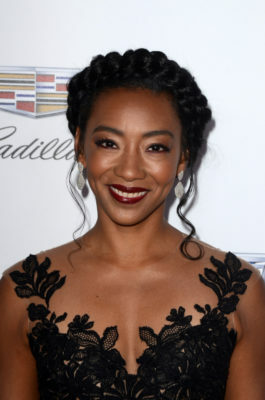 Betty Gabriel is headed to Starz. Deadline reports the Good Girls Revolt star has joined season two of Counterpart. The spy drama centers on Howard Silk (JK Simmons), a low-level bureaucrat who discovers his agency is protecting a secret about traveling to a parallel dimension. The cast also includes Olivia Williams, Harry Lloyd, Ulrich Thomsen, Nazanin Boniadi, Nicholas Pinnock, and Sara Serraiocco. On Counterpart, Gabriel will play “Naya Temple, a former FBI agent recently hired by the Office of Interchange to clean house, a figure both intimidating and magnetic.” Starz has not yet announced a premiere date for season two, but production is set to begin this week in Berlin. What do you think? Have you seen Counterpart? Will you watch season two? I can’t wait till Counterparts comes back. I love that show!!! Thanks for bringing it back. I love Counterpart! It is getting so exciting. I am so glad it is coming back. Thank you!!! We don’t have enough people in the show already? Are a lot of people going to die? Hopefully, STARZ knows what they are doing. We will find out.